This is a simple DIY if you have any mason jars, you can simply add the mason jar soap dispenser lid by simply getting rid of the original lid and then simply screwing this one on that comes complete with the pump and lid to fit most standard jars and fill your jar with liquid soap..
You could then paint it or distress it in any way. Click here to find out more about distressing mason jars for your bathroom storage ideas. This one comes with labels you can use to decorate your jar, but if you like DIY then you could distress it on the outside with chalk paint, instructions on this page to make it yours! 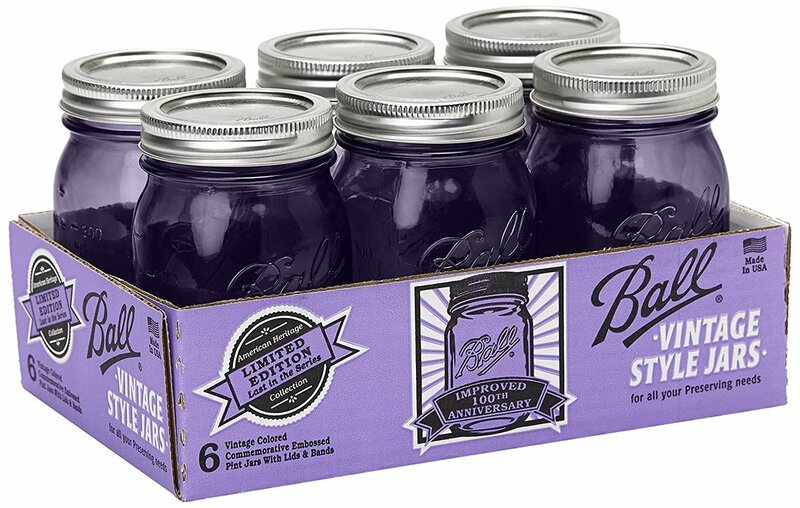 There are so many fun ways to use old mason jars, which you can usually find at thrift stores, reuse centers and garage sales, but if you prefer you can also buy them new online below. 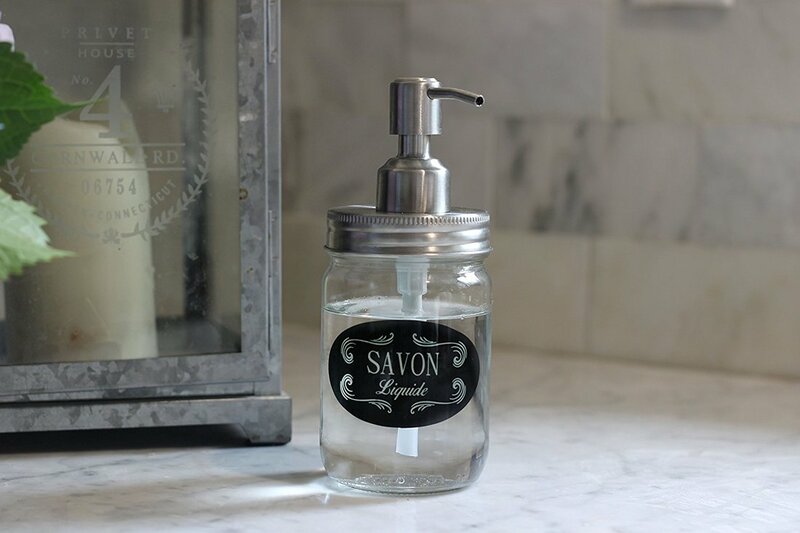 Between mason jar bathroom organizers you can place on your wall and soap dispenser to get rid of gummy soap these are fun ways to recycle and create affordable storage. 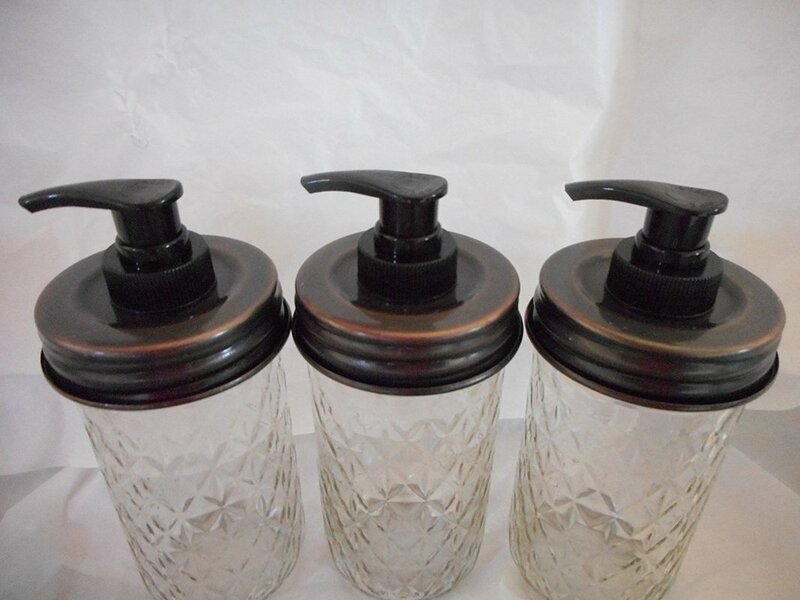 There are different styles of soap dispenser lids you can get online, it all depends on the decor you want or if you are painting your jar. Chalk paints work the best for the outside. Distressed jars look awesome too! This soap dispenser comes with labels too! You can get these mason jar soap dispenser lids in different colors and styles but all will fit the standard jar screw on top. Just make sure if you are using old jars that the top screw part is not damaged in anyway or this will prevent the dispenser from screwing on. Put your jars in the dishwasher to get them really clean and then either leave them clear or paint them on the outside using chalk paints and sealer for added fun click here for instructions. There are so many ways to find storage now by recycling I just felt I should add this page to get your creative side flowing. You can also create wall storage purchasing or creating the mason jar bathroom organizer for your wall which looks super awesome and a great way to get those dusty old jars out of the basement and put to good use. !